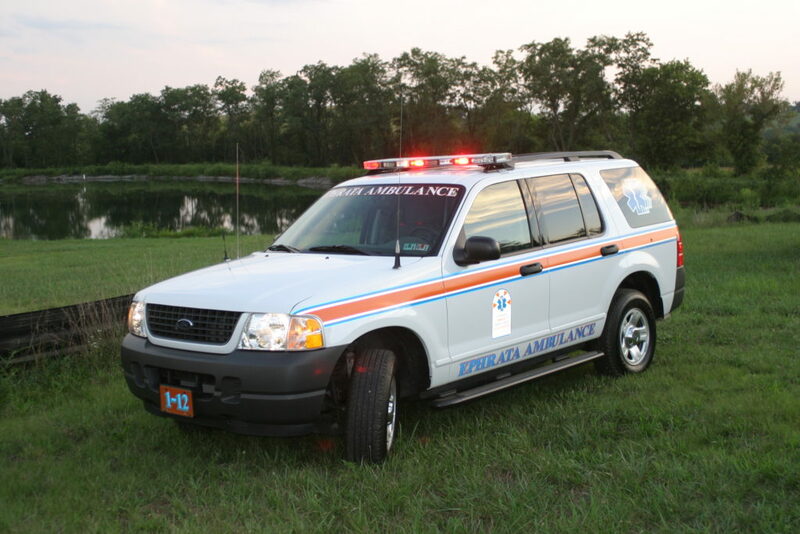 2003 Ford Explorer - Ephrata Community Ambulance Association, Inc. This 2003 Ford Explorer has been driven more than 54,790 miles. It is used as a supervisor vehicle for our paid staff and also for standbys at local community events. This vehicle is equipped with an AED and other various equipment items to treat patients.